Apsley Cherry-Garrard (1886-1959), British explorer and zoologist. 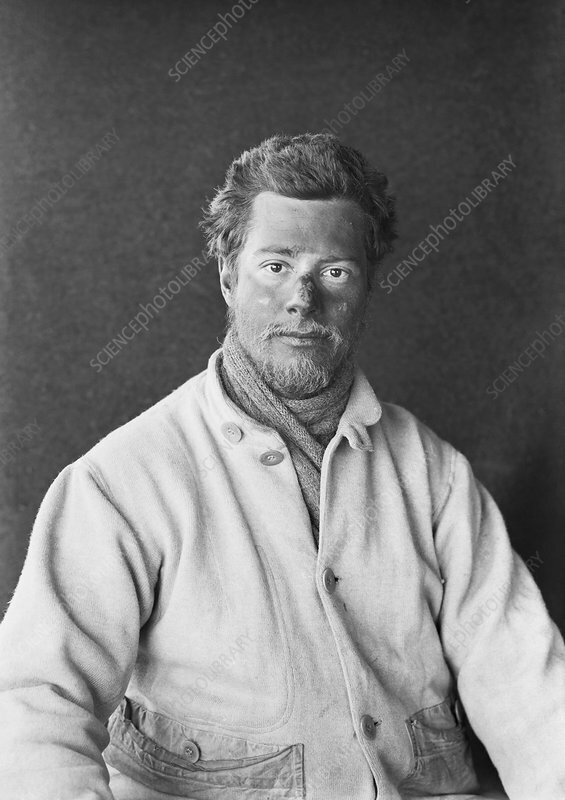 Cherry-Garrard was assistant biologist during the British Antarctic Expedition (1910-1913). Also known as the Terra Nova Expedition, the primary expedition objectives were scientific. Led by Robert Falcon Scott, the shore party of 34 spent two seasons exploring on and around the Ross Ice Shelf. Scott and four others died in March 1912 returning from their attempt to be the first to reach the South Pole. Cherry-Garrard, part of the larger initial group, was one of four sent back by Scott on 22 December 1911. Photographed on 29 January 1912 after reaching the Cape Evans base camp.